A blend of 80% Chenin Blanc and 20% Chardonnay, organically grown and aged on the lees for 18-20 months. The dosage is very low at 4 grams per liter, resulting in a refreshing, crisp wine. 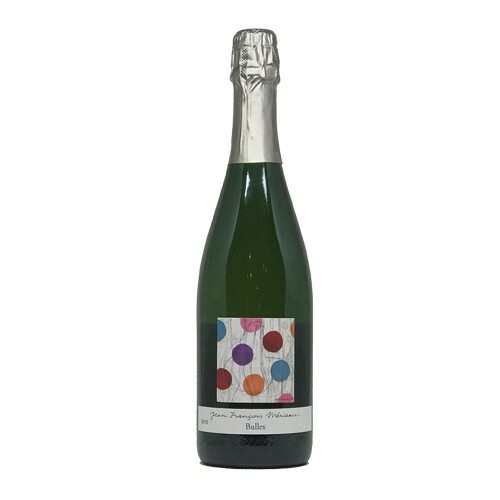 This bubbly has a bright nose of apple and pears with hints of citrus. The palamte is creamy and rich and the finish is juicy and long. I find myself reaching for this wine often as it really hits the spot after a long day. According to Wine Spectator: "This sparkler is forward, with a prominent spicy ginger note lading the way for pear, melon and brioche flavors. Stays racy on the finish, with the ginger note lingering. Chenin Blanc and Chardonnay. Drink now.